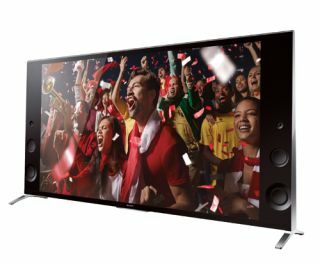 Catch the World Cup in Ultra HD 4K with Sony | What Hi-Fi? After teaming up with FIFA to deliver Ultra HD 4K coverage of the World Cup, Sony promised us the experience of watching the new format at some of its retail outlets. We're now able to reveal the locations where the Japanese manufacturer will be showcasing 4K TV coverage of this summer's tournament on its new Bravia X9 – the official 4K TV of the World Cup. The participating showrooms and retail outlets are dotted around the UK – including Harrod's (London) and Fenwick's (Newcastle). John Lewis (Oxford Street); Fosse Park Currys (Leicester); and Braehead Shopping Centre (Glasgow) are the five 85X95 stores to be starting with, while there's also 20 general stores you visit. In addition to the stores announced above, Simply Electricals has announced that its Rawtenstall and Bolton stores will be screening 4K TV highlights packages streamed in from Sony. Both outlets already have demonstration material from last year's Confederations Cup, but you're now able to watch this summer's action on the KD65X9005B or KD55X9005B – depending on location.